Impact-A Citrus Multipurpose Cleaner is safe to use on all interior & exterior hard surfaces such as glass, stainless steel, aluminium, timber, plastics, linoleum, as well as all types of equipment, including the food industry. This general-purpose surface cleaner is phosphate free and pH neutral, suitable for home and industry use. It produces a streak free finish while leaving a fresh citrus smell behind. 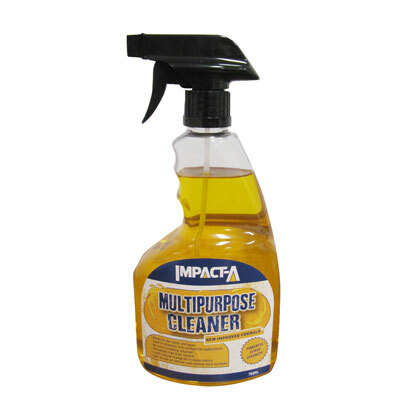 To buy IMPACT-A Multipurpose Cleaner, please use the Store Locator below.